Product prices and availability are accurate as of 2019-04-24 12:15:17 EDT and are subject to change. Any price and availability information displayed on http://www.amazon.com/ at the time of purchase will apply to the purchase of this product. 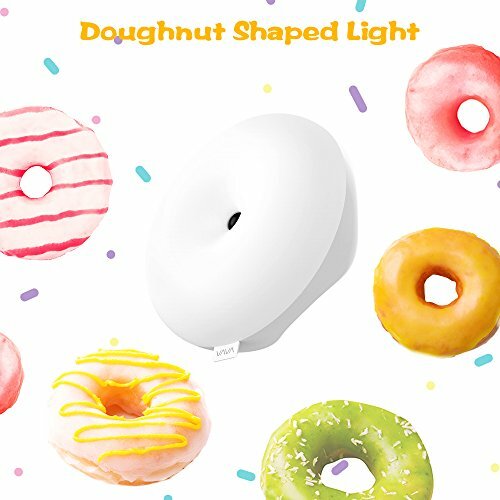 This doughnut-shaped baby light will awaken a child’s innate curiosity and set them on a path of exploring technology. Amaze them with the no-touch hover hand control and turn the light on and off with an easy breezy wave of a hand – especially convenient in the middle of the night! The soft, eye-caring glow of the anti-blue-ray LED won’t dazzle your eyes – even during the night when you’re still half asleep. 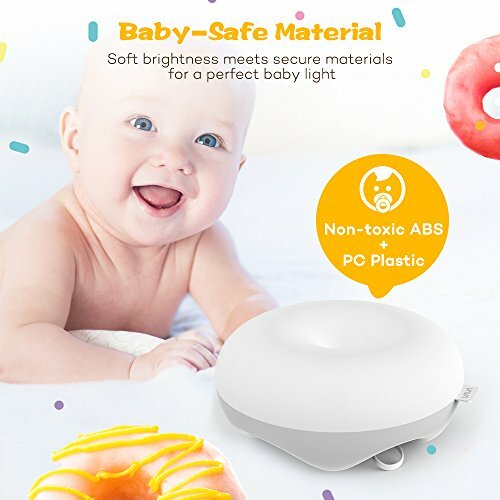 In combination with the non-toxic ABS and PC plastic this baby light is even safe for children to use and the dustproof and easy-to-clean design make it durable and extra convenient. 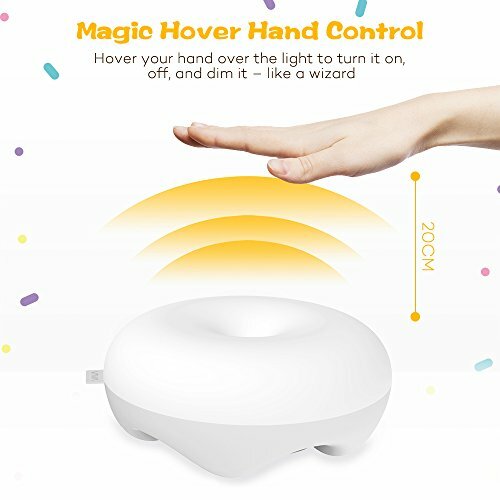 Hover your hand 20 cm over the round baby light and witness how the light magically turns on and off, and even changes brightness, without actually touching it. Feel like a wizard and hypnotize your baby or child with your Harry Potter-like dimming skills. 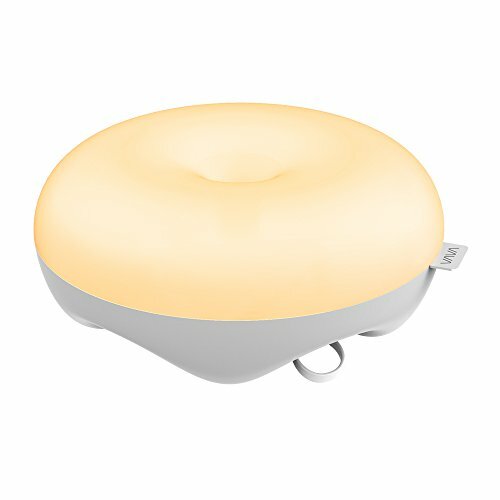 The VAVA baby light can give you up to 120 hours of a subtle glow in low brightness mode. 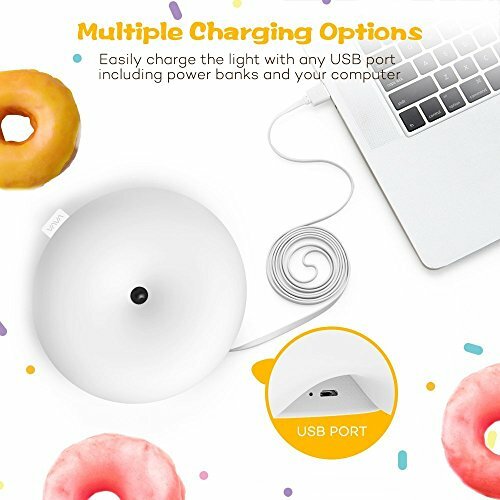 When the battery runs low you can charge the light super easily and conveniently with any USB port, may this be your computer, laptop, or power bank. Recharge the baby light as soon as the low battery indicator starts flashing. Put the convenient baby light anywhere you may need a nightly light source: in your bedroom, the children’s bedroom, in the bathroom, or even in the living room. Create the perfect glowing atmosphere for a bed time story or a subtle and soft light for breastfeeding in the middle of the night.